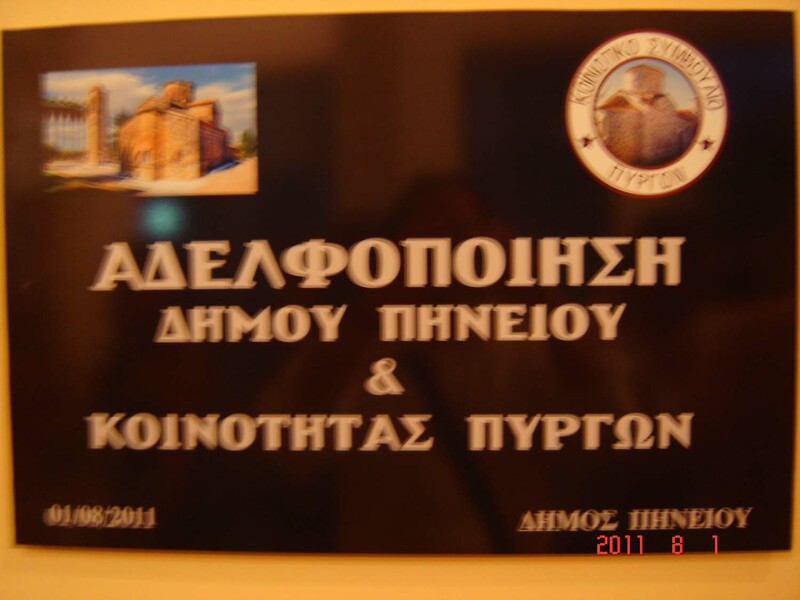 The Community Council of Pyrga and the Municipality of Pineios have decided to proceed with the twinning of the two communities by setting as their primary objectives, according to the Twinning Agreements (16/05/2011 and 01/08/2011), to develop relationships of friendship and cooperation among the two communities, to promote peace, solutions to the international depression and the Cyprus Problem, mutual communication, exchange of ideas and experiences in a spiritual, educational, cultural, financial and social level, as well as in the field of sports, always aiming at the progress and growth of their citizens. Once the two Local Government organisations had decided on their twinning, they signed an Agreement in two stages. 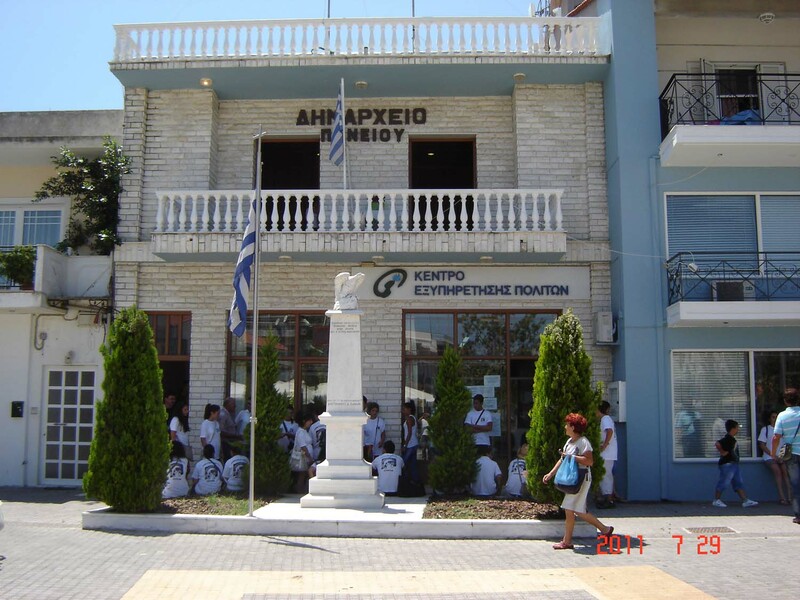 The first stage was signed on July 17th, 2011 in the Community of Pyrga, while the second stage on August 1st, 2011 in KourvisIaneio Cultural Municipality of Pineios. The Agreements were signed by the Deputy Mayor of Pineios Mr Spyros Vasileiou, who represented the Town Council of Pineios, and the President of the Community Council of Pyrga Mr Christakis Constantinou, who represented the Community Council of Pyrga. What is noteworthy is that the Municipality of Pineios and the Community Council of Pyrga exchange visits and organise various events. 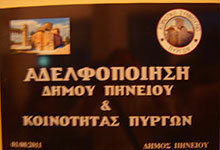 Twinning Agreements between the Community of Pyrga and the Municipality of Pineios. Further below you can read the Agreements signed be the two Local Government Organisations within the context of their twinning, as well as some publications.